Nadia BELMATOUG is Assistant Professor at the Department of Internal Medecine and Infectious Diseases, Beaujon Hospital, Clichy, Assistance Publique-Hôpitaux de Paris, University Bichat-Beaujon Claude Bernard, Paris VII, France. 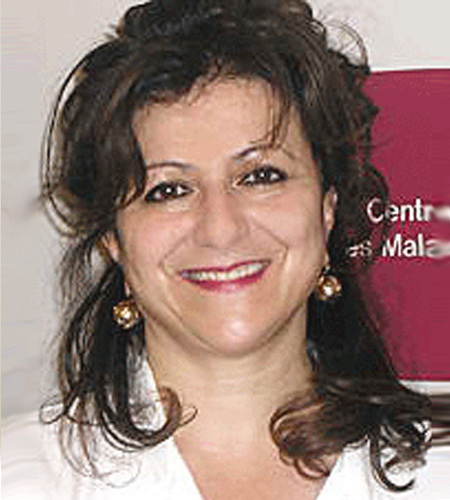 Nadia Belmatoug is involved in various areas of internal medicine, rheumatology and infectiology. She has been concerned with Gaucher disease since 1991. The French Gaucher Registry (600 patients) is one of the largest in Europe. Dr Belmatoug is devoted to the evaluation of clinical characteristics, biomarkers, pathophysiology in Gaucher disease and has developed close connections with the French association of patients with lysosomal disorders (VML : Vaincre les Maladies Lysosomales) to improve the care of patients. She is Head of the CETL (Comité d’Evaluation du Traitement des maladies Lysosomales) She is the vice president of the CETG. She contributes to the writing of the French Recommendations on Gaucher Disease fort the French Health Authority, HAS (Haute Autorité de Santé). Dr Belmatoug has served for the French Health Ministry and the Social Security Staff.